Journées Cinématographiques de Safi. 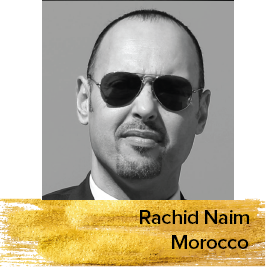 He is also a member of the Moroccan Association of Film Critics (AMCC) and the International Federation of Film Critics (FIPRESCI). He publishes periodically articles and books about topics linked to cinema, representation and art. He also frequently participates as a jury member or lecturer in festivals and seminars worldwide.